The parish of Bervie KCD was disjoined from Kinneff in 1618. 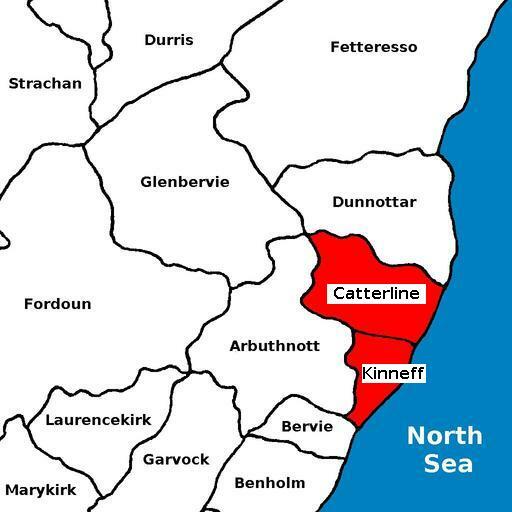 Kinneff and Catterline were united in 1719. For the full range of maps of Kinneff & Catterline, see National Library's Maps. Geograph.org: Kinneff - recent photographs of Kinneff. National Grid ref. NO8574. Geograph.org: Catterline - recent photographs of Catterline. National Grid ref. NO8678. 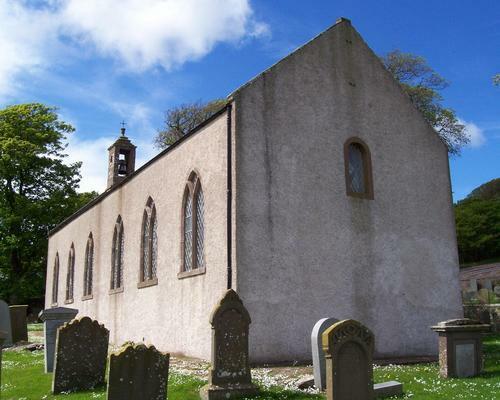 Kinneff Kirk is located at National Grid ref. NO855748. Rebuilt in 1738, restored in 1960s. Catterline Kirkyard is at NO867785. The kirk was dedicated to St Catherine and was appropriated to Arbroath Abbey. Details of the former Free Kirk of Kinneff, which later became Kinneff and Catterline Parish Church, but is now closed, are here. Details of St Philip's Episcopal Church, Catterline are here. Thomas Barr ?-1871-1895 b. ca. 1828 Dundee, nephew of Wm B.; d. 21 Mar 1895 Catterline; mar. Margaret J. 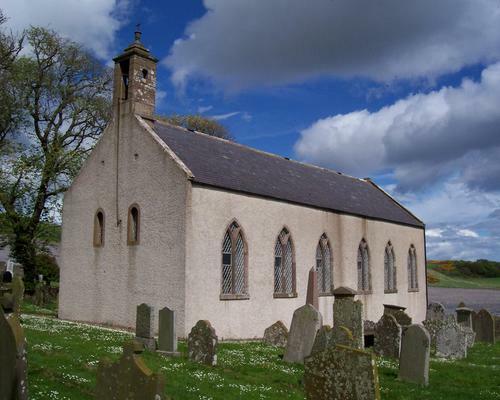 ---; issue: Simon I.; Margt H.
Full texts of all extant inscriptions for Kinneff, Catterline and St Philip's Episcopal Catterline have been published as a single booklet by the Aberdeen & North-East Scotland FHS. They have an online search facility for names of people on the monuments they have recorded. Their list of publications is here. Andrew Jervise recorded some monuments at Kinneff in his "Epitaphs & Inscriptions", vol. 1, pp. 169-73 and at Catterline, pp. 173-4 in the same work. See also Kinneff Churchyard, Catterline Graveyard and Catterline St Philips Churchyard. Burial records for Kinneff & Catterline are held by the Registrar in Stonehaven. See Kincardine and Mearns Burial Grounds. Kinneff & Catterline was in the Commissariot of St Andrews. Testaments of Kinneff & Caterline people registered at St Andrews that have been lost, for which only entries in the minute books are extant. Dame Jean Ross (married 1711, died 1717) - dau. of George Ross & Elspet Robertson, and wife of Sir David Ogilvie of Barras, 3rd bart.